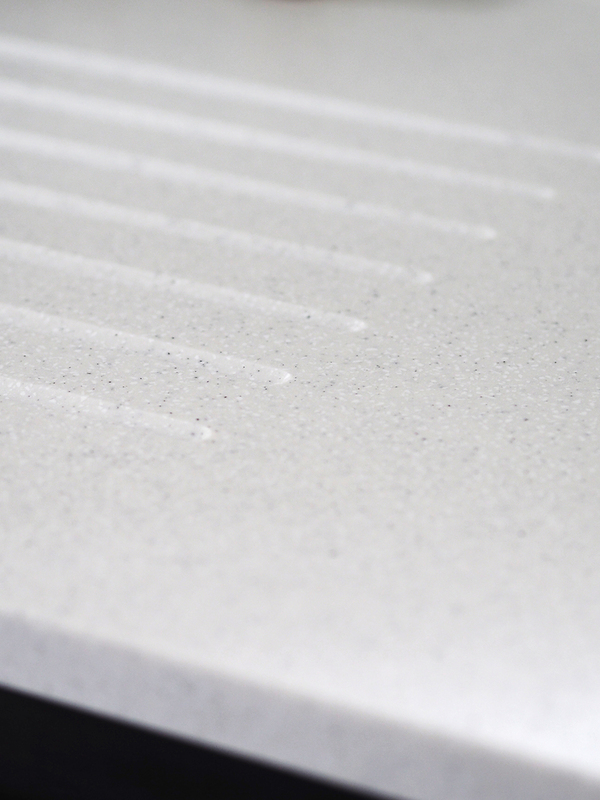 My Mistral Worktops & Splash-backs! 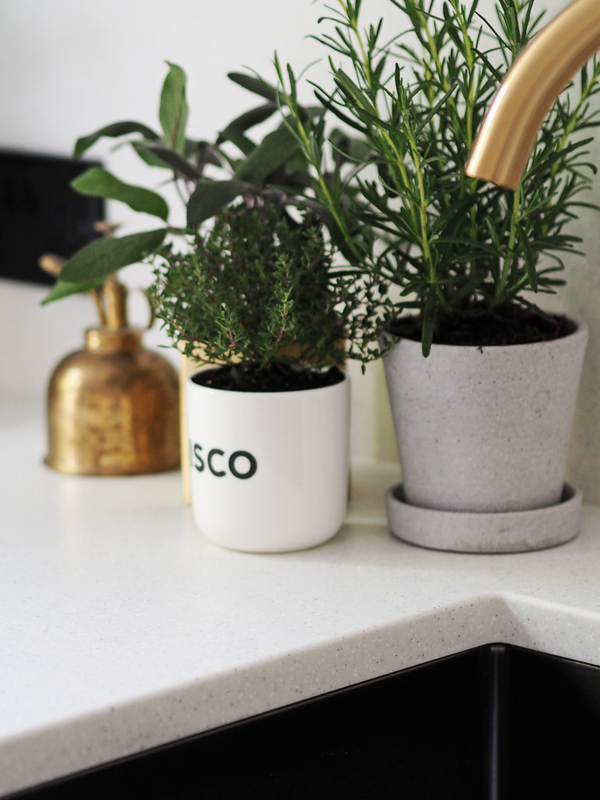 Since the reveal of my new kitchen a few weeks ago, I've had LOADS of messages asking me about things that weren't mentioned in that particular post, and one of those things is my beautiful worktops and splashbacks - so let's talk about them today! 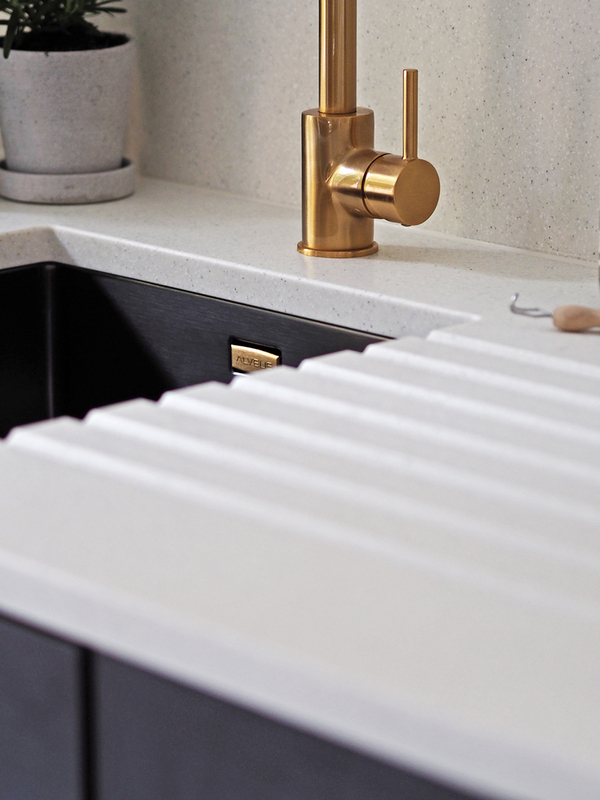 I actually can't believe that after ten years of living with rotten and broken in parts butchers block worktops, that these beautiful (acrylic-based) surfaces are actually ours - they finish off the kitchen in the best possible way. 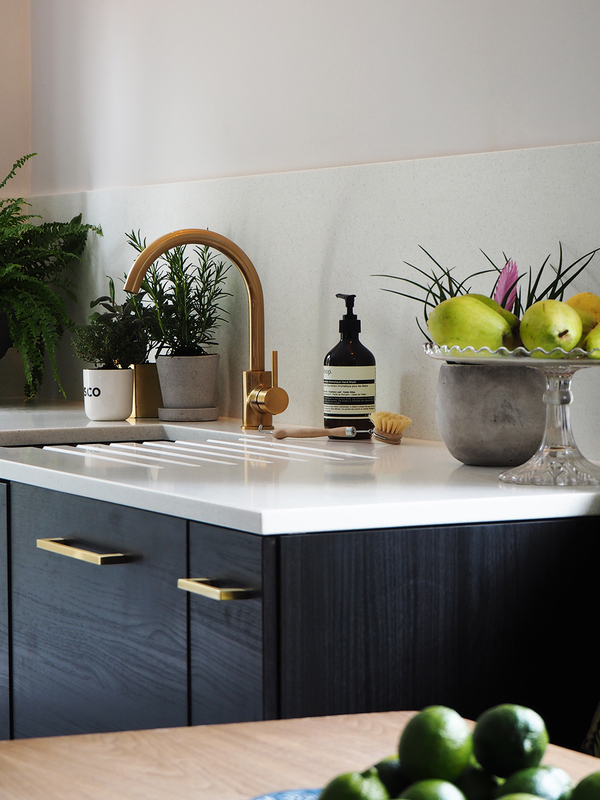 Everything that went into the kitchen re-fit of course has a part in the finished look, but the worktops, really are the icing on the cake - they're SO important, and really do set the tone of the entire room. What I love about the 'Mist' colour that I chose after MUCH deliberation is that it's classic and pale, but interesting, and even I, the Queen of getting bored easily, won't tire of it any time soon. It has a warm pale grey base, with flecks of white and black, and because the flecks are dispersed throughout the full thickness, they give depth and variation in tone. From a distance, the different colours blend into one warm base colour, and it's not until you get closer that you see the detail, which is a really nice surprise. So as I said, pale, but interesting. 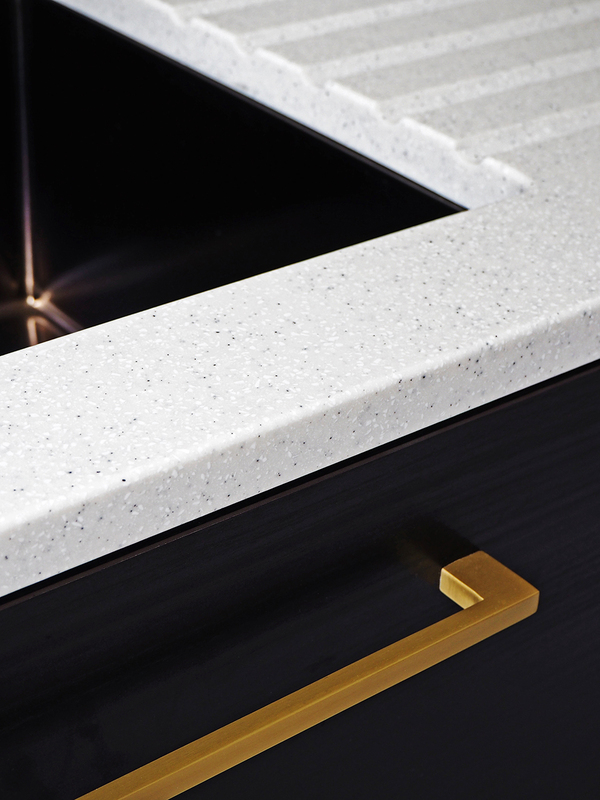 Mistral is classed as a solid surface worktop, but unlike some others, it's solid right through, making it a particularly stable product. So no MDF substrate, and therefore no risk of water damage and warping. The fact that it can be manufactured to be fabricated on site, also makes it a much it a more affordable option than many. No templating required, which again keeps costs down. And did I mention that it's beautiful too? 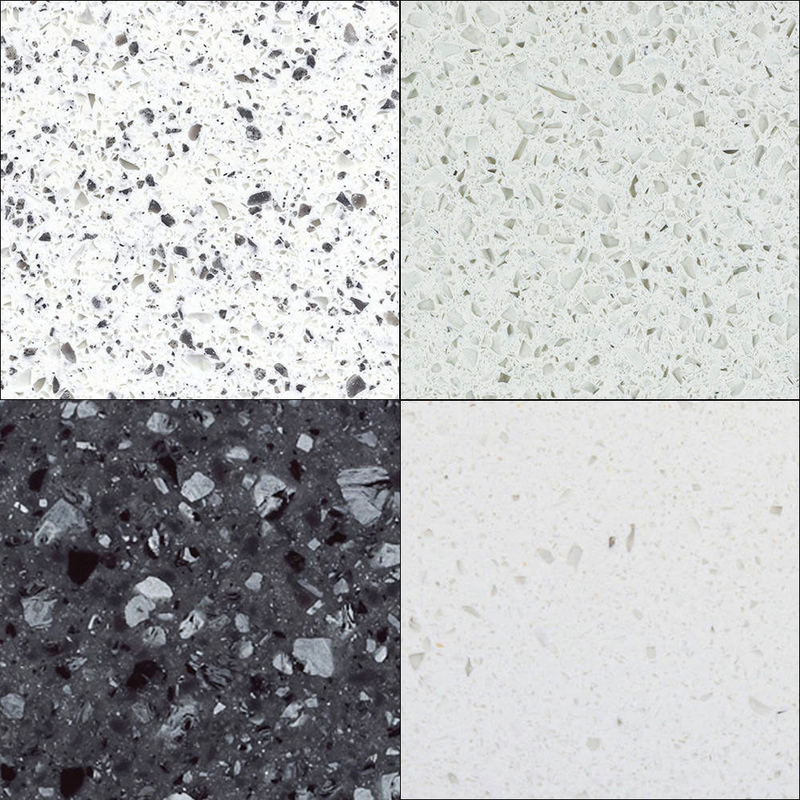 I hadn't realised what a minefield choosing a worktop is until my kitchen refit, or the variety available. It's SO CONFUSING. But Mistral has a load of pros, so I thought I would list them here for you. • Seamless joints. I have two - one on a work surface, and one on a splashback, and you've got to hunt for it with a magnifying glass to find them which is pretty amazing. They are virtually invisible. • Same colour and design right through the whole thickness, meaning drainage grooves, undermounted sinks, and edges are not a problem. • Heat resistant, and non-porous, making it stain resistant and hygienic, and they don't need to be sealed (or re-sealed!). • Refinishable and repairable. 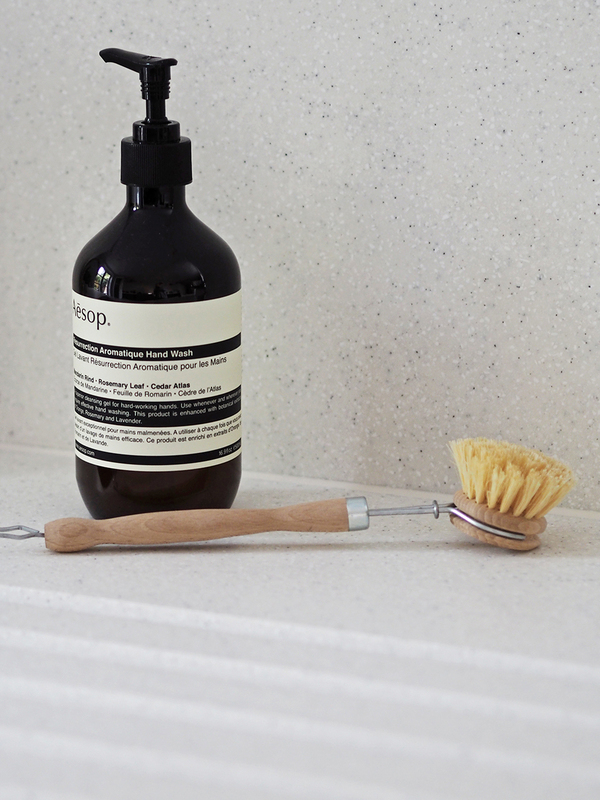 It can be sanded and polished to remove any particularly stubborn stains or scratches, leaving it looking as good as new. • Chemical, fire and UV resistant. Yep, this stuff is tough. 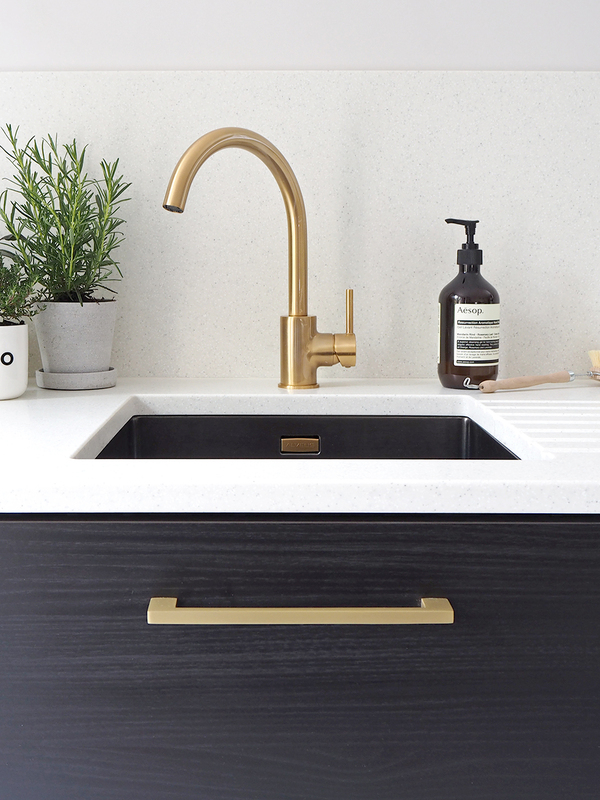 Mistral truly is a great choice for a hard-working family kitchen like ours. Practical and beautiful as you know, is always of utmost importance. Well, okay, sometimes I just ignore the practical bit for beauty, but with Mistral you don't have to. 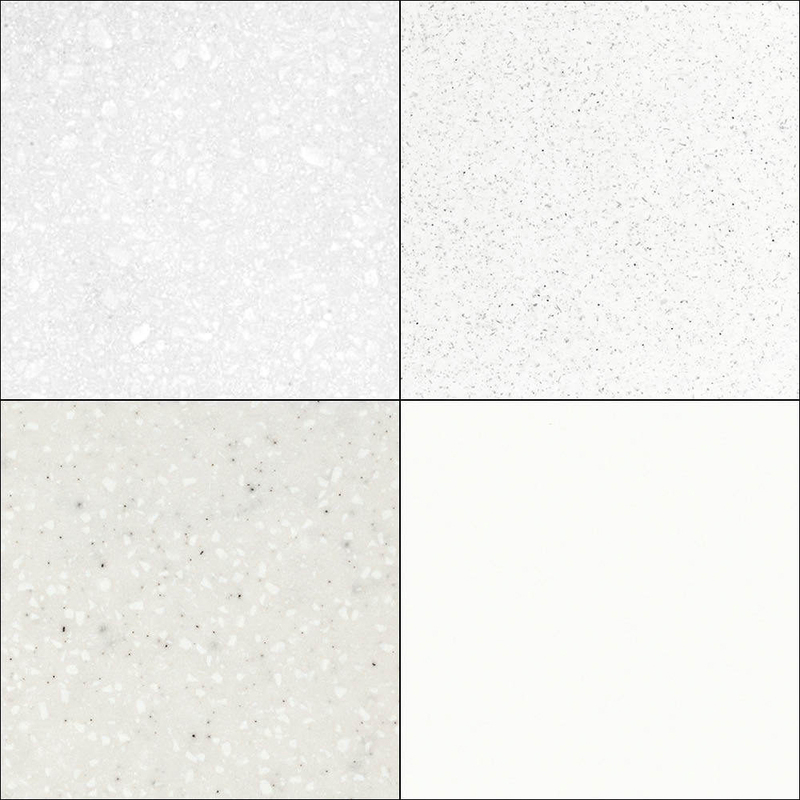 Clockwise from top left: Orka, Arctic Frost, Winter Drift, Zircona. So there you go! My kitchen secrets have been revealed. There are a few little bits and pieces that I keep being asked about, like 'that' Disco pot, so I'll put another post up within the next week or two with everything listed and linked, so that everything can be referenced from one post. 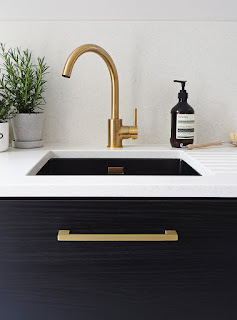 This post is in collaboration with Karonia, the makers of Mistral, who I am so thrilled to have been able to work with on my kitchen re-fit. Thank you Karonia!